Console vs GUI application in Object Pascal - is it either-or? 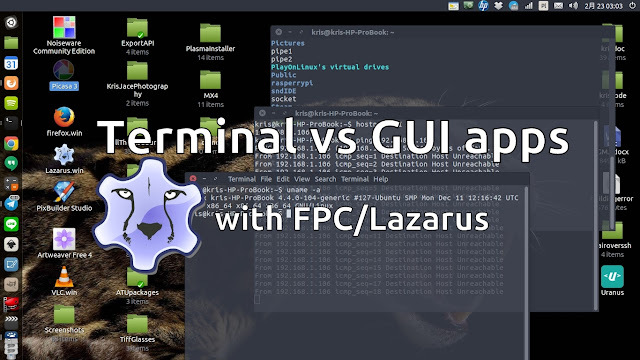 Console vs GUI application paradigm In short, console application (or terminal mode application) is when you have a command line interface like in the MS-DOS time, or like shell in Linux. Or if you start cmd.exe on Windows. Application dedicated to this scenario prints characters to terminal (stdout) and reads input from the terminal (stdin) when you use standard object pascal routines like write/writeln and read/readln. 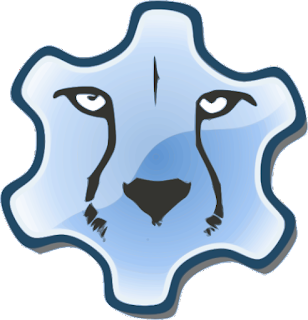 Introduction SSH stands for Secure Shell and allows you to access remote machine's shell to execute terminal mode commands in it. 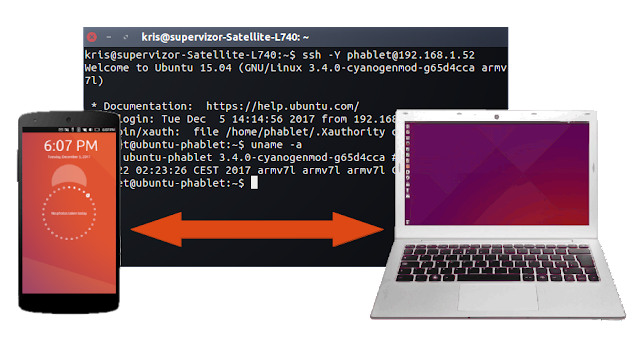 Here we will emphasize the use with Ubuntu Touch which will render your UT device a hole lot more useful and powerful. Also, more convenient to work with. Windows has equivalent solutions, that I will not cover here. I will only tell you that to connect to UNIX shell over ssh from Windows machine, you can use PuTTY as ssh client, but won't at all cover Window's server side for remote shell. Lazarus IDE runs on plethora of platforms but today we focus on ARM Linux: Embedded Linux, single board computers, smartphones and tablets. Native visual RAD development on ARM Linux. I wrote this post with the aspiration for it to become the most comprehensive practical guide for Lazarus IDE, and effectively Object Pascal software development on and for ARM Linux, but with focus specifically on Ubuntu.